Ibanez GA3NJP AM Jam Pack classical guitar pack for beginners . 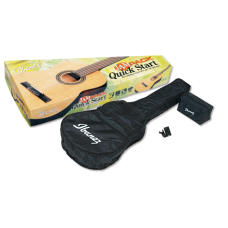 The set includes 4/4 classical guitar: agathis body, spruce top + Deluxe guitar bag, electronic tuner, guitar strap and bag for accessories. Before sending the guitar we make a basic setting.